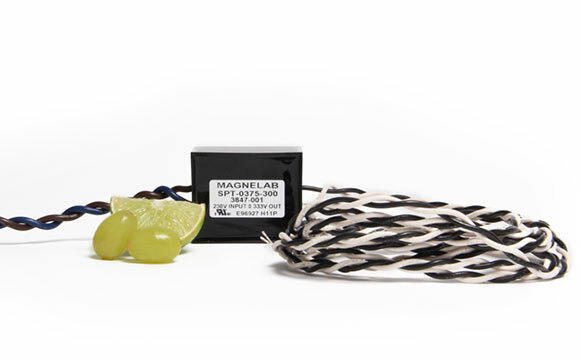 When you are asked what is a potential transformer, simply show them the SPT-0375 voltage transformer by Magnelab. It offers output AC voltage that is linearly proportional to the AC voltage input. The output voltage involved in the device is ANSI standard, which is 0.333 volt and its input voltage ranges from 115 to 460 volts. As a result, the SPT-0375 is the perfect device for electronic measuring instrumentation like data logging and more. You can actually have this particular device customized to your personal request by indicating the outputs you require, or any other specific parameters. A related product is the DVT-1000-420 DC voltage transducer. Essentially, it is generally paired with a voltage sensor that accepts inputs of 10 to 1000 volts DC or 1 to 100 volts DC. It provides an output of 4-20 mA, 0 to 1 volt DC or 0 to 5 volts DC. Back to the SPT-0375, at rated voltage, its linearity accuracy plus or minus 1 percent at 10% to 130% of rated voltage. The phase angle of the device is less than one degree and it can withstand voltage, both primary and secondary, of up to 2,500 Vrms. As standard, it comes with 8 feet input leads that are 14 AWG, as well as 8 feet output leads that are 22 AWG. For easy installation, the device comes with two mounting holds, which use #8/32 blind inserts. It also has a 7 year warranty and is compliant with CE and RoHS, as well as being made in the USA.